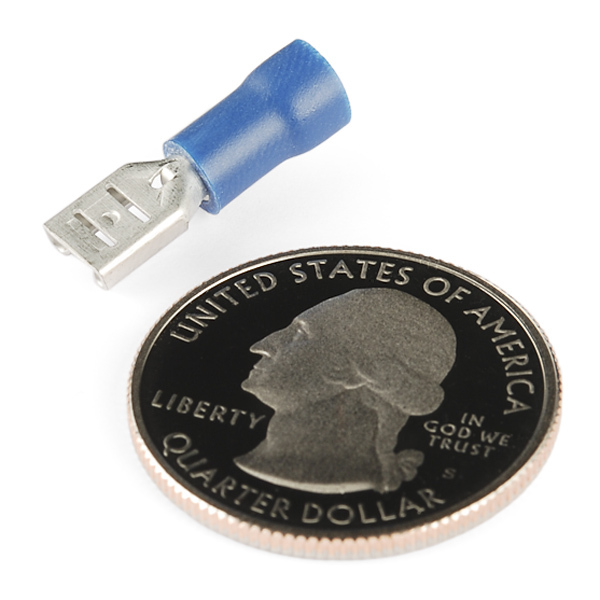 These connectors are really useful as power connectors in prototyping or in projects that are repeatedly assembled and disassembled. 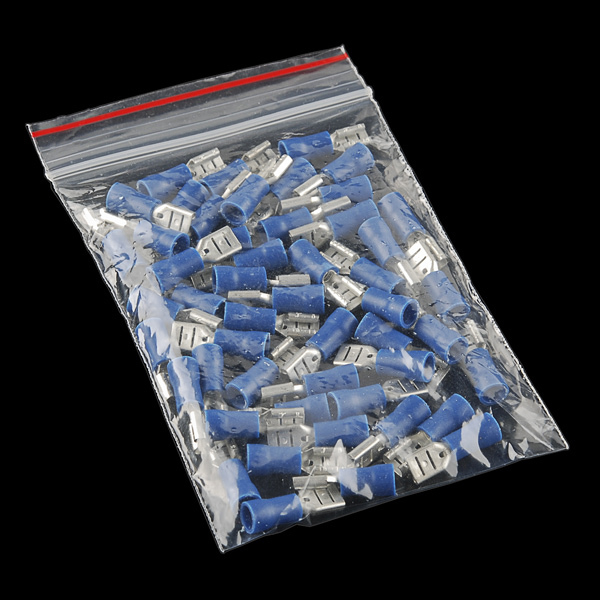 There are also a variety of buttons and lights that use these standard connectors. Are you /sure/ these are for 22-16awg wire? 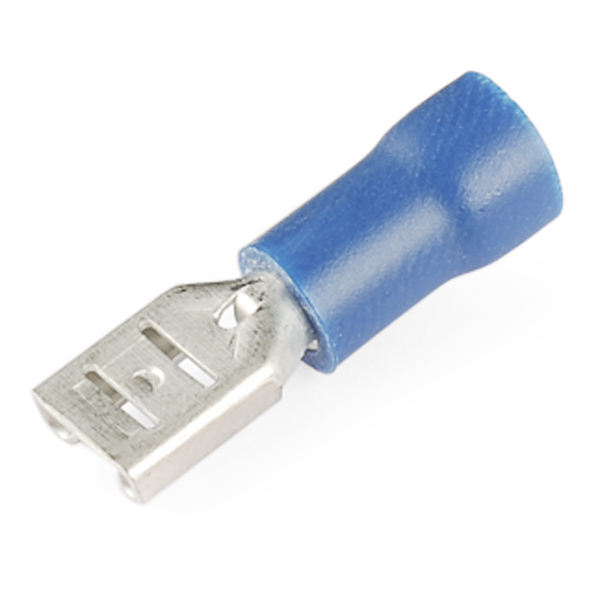 The datasheet says Blue is for 16-14awg, though I have fit 12awg in them before. And on that note, you probably want to carry red of both sides, and blue of both sides. Yes, please! I don't understand why they wouldn't sell both. 3 years and still no female reds or male blues. Everyone I talked to at sparkfun agreed that this was not right, and that they would work on it. Why are we still pretending that the insulator color does not denote wire gauge? I got these to use in conjunction with PRT-11464, and it's very kind to refer to the set as "quick disconnects" since they require so much force to attach or detach them. I guess this is the correct size for the Arcade joysticks and buttons?, the 1/4" is too big right? correct, 1/5" fits the arcade buttons nicely.